Despite enormous global progress over the course of the last century, racism persists. While there are large and active initiatives that seek to eliminate racism by spreading awareness through media campaigns, public demonstrations, lobbying, legislation, and more, the issues of racial prejudice, violence, discrimination, and the countless damages they cause for individuals and society continue to be a constant threat to social cohesion and our collective well-being. In 2009, we saw the inauguration of America's first black president, Barack Obama, who has just recently exited the position after the completion of his second term. Beyond the highest office in the land, there has been a significant increase in the number of notable people of color in prominent positions, not just in business or industry, but also in media. People of color, ethnic minorities, and women have come to increasingly occupy roles that have too often been reserved solely for white men. However, in the same period of time, America has seen alarming spikes in registered hate groups across the board, especially racially divisive hate groups, such as white nationalist and separatist groups. 2015 was dubbed “The Year of Enormous Rage” by the Washington Post. The values of fascism have been increasingly validated in the public and political spheres. Entering 2017, coming off a presidential election that is probably best known for its divisive nature, racism is a major concern that weighs heavily on the minds of many Americans. For people of color, it is encountered every day in a variety of places and forms. Despite all of this, the situation is not so bleak. There is still plenty of work to be done, and there is still hope to be held. We cannot answer the “why” of racism, but we can offer a suggestion on how to fight back: education. Racism is born from ignorance, and education combats ignorance. With that goal in mind, this article highlight the best college and graduate degrees for fighting racism. Of course, you can fight racism in your everyday life, regardless of what you study. Practice mindfulness, awareness, and kindness. Be aware of your own actions and assumptions. Call out racism when you see it. Protest, volunteer, tutor, donate money to good causes and don't support bad ones. You do not need to pursue a career that is directly related to any of the degrees on this list to fight racism; education for itself is a significant step and noble pursuit. 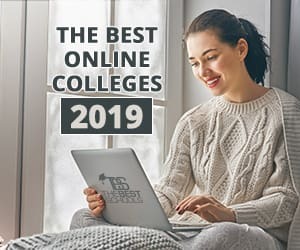 But, if you want to do more still, you can make a career out of fighting racism, and the degrees on this list are some of the best for helping you do just that. Along with each major, we have included a few “notable names.” This includes a mix of people who have a degree in the subject, or work professionally in a field relevant to the major. This also includes a mix of people who have fought racism through their professions, as activists, or as notable people of color occupying significant positions in the field. At the time of writing, all of the individuals listed here are living. Underrepresentation of minorities is an issue that exists across the boards in society. While underrepresentation in media and pop-culture has been a major talking point recently (with significant strides being made), this does not change the fact that underrepresentation in top business positions remains an issue. Top positions in large corporations are still overwhelmingly occupied by white male businessmen, with significant positions throughout a given corporation exhibiting minority representation that is disproportionately small when compared to the total population. Moreover, a lack of diversity tends to maintain itself over time, and produce an office culture that is ignorant of, and sometimes discriminatory toward, minority issues. This is not to say all companies are guilty of this, but to acknowledge that there is, and continues to be, an “old guard” in the professional world. Racism in the workplace often manifests itself in this way, through institutional racism. There are ways to fight institutional racism from the outside, such as through business regulations, legislation requiring fair hiring practices, and an array of legal resources, ethics boards, incident reporting procedures, and more. Still, fighting from the outside can only do so much. The fight against racism needs to occur from inside the boardrooms of a corporation, both by people of color in high-ranking corporate positions and by white advocates who understand the need to create a positive and inclusive corporate culture. A degree in business, whether undergraduate or graduate, can help you climb the corporate ladder, or make your own ladder by becoming a successful entrepreneur. If you are a minority, you can fight racism through occupation; if you are white, you can still fight, through advocacy and mindfulness, ultimately contributing to a better work environment for all personnel. Either way, if your intent is to fight racism in business, you can do so by ensuring your workplace is ethical, and embraces diversity. Bring about change by replacing the “old guard” with a new, diverse and inclusive business population. Ursula Burns – Burns is a Chairman of the Xerox company, and former CEO (2009-2016). She was the first African-American woman CEO of a Fortune 500 company. Robert L. Johnson – Johnson is the founder of BET (Black Entertainment Television) and RLJ Companies, and he is the first African-American Billionaire. Oprah Winfrey – Unless you have been living under a rock, you know this name. Though she majored in Speech Communication and Performing Arts, Oprah Winfrey has become a media mogul, starting with the success of her talk show. She is a one-woman empire. Education is the greatest weapon against ignorance. By studying education and becoming an educator, you have the ability to arm the next generation of Americans with knowledge and to instill in them the critical capacities to fight racism themselves. You can help stop the spread of ignorance, and simultaneously, create new allies in the march of progress. With a degree in education, you'll create numerous opportunities to enact change. You can teach at high schools and middle schools, helping troubled youth navigate the complexities of racial issues in society. You can teach elementary and preschools, and help young children develop strong morals and values that combat the ideologies of racism from early on. You can teach at disadvantaged schools and help at-risk students overcome the many obstacles that blatant and institutional racism has put in their path. You can teach minority students who face racism directly how to confront these issues, and white students how to recognize and prevent racism in their daily lives. Educators are in a unique position to fight racism by giving others the skills to improve their own quality of life or employ their knowledge to confront racism in its many forms. This is not limited to the classroom. You can use your knowledge as an educator to help others through volunteer work, and tutoring, such as with refugees who need to learn English as a second language in order to get ahead, or with underprivileged kids who need assistance that their own schools do not offer. Moreover, while you may begin your career as an educator, over time you might move into administration, or even government, and have further opportunities to enact change at the macro level. Educators are not just teachers. They are guides and mentors, and an education degree can put you on the path to mentoring those who stand to benefit most from your wisdom. Geoffrey Canada – Canada is an educator, author, and activist. As president of the Harlem Children's Zone from 1990-2014, Canada directed the program to actively follow the academic careers of youth in the area, in order to ensure their success. You might recognize Canada from his feature role in the documentary Waiting for Superman . Jose Octavio Rivas, Jr. – Rivas is a high school teacher in the Lennox School District of California, teaching STEM classes to a primarily minority student population with a high poverty rate. In his efforts, Rivas has secured over $150,000 in funding, and is focused on helping his students succeed by preparing to become engineers. Rivas was a runner-up for our 2016 Escalante-Gradillas Prize for Best in Education. Anthony Yom – Yom is an AP Calculus teacher in the Los Angeles Unified School District, an area with a high population of underprivileged minority youth. His school contends with a 91% poverty rate. Despite many hurdles, Yom has achieved remarkable success with his students on the AP Calculus exam, with a 100% pass rate, and high average score. Yom is also the winner of our 2016 Escalante-Gradillas Prize for Best in Education. When studying English, there are basically three tracks to consider: literature, creative writing, and rhetoric. English is not merely the study of books and words. It is the study of the human condition, an investigation of who we are, where we have been, how we got here, and where we are going. It shows us the struggles and triumphs of the individual, and the conditions that shape our social order. Studying and writing fiction, non-fiction, and poetry gives us insight into issues and situations that we may not otherwise be able to understand. Literature gives us a deep, direct connection to the human soul, and can move us in ways that other mediums cannot. Studying rhetoric lets us understand the deeper implications of the language that is being used all around us, dictating how we represent ourselves, each other, and the issues that matter most to us. You can fight racism directly through the language you and others use, by writing and speaking to the end of raising awareness. The significance of greater minority representation in media and pop-culture should not be overlooked, and writing and creating cultural artifacts helps aid in that progress. An English degree means you are adaptable, and are not limited to a single career path. While writing and publishing are direct ways to fight racism, most English majors are not authors. You can become a teacher of literature, writing, or even English as a second language. You can be an advocate, working in charities for underserved populations, and refugee aid programs. You can take your English degree and use it to pursue a law degree, ultimately becoming a civil rights or immigration lawyer. You could even write articles for websites on how to fight racism with education. Junot Díaz – Born in Santo Domingo, Dominican Republic, Díaz immigrated to the U.S. when he was six. He is currently a creative writing professor at MIT and serves on the board of advisors for Freedom University. He is an activist and author, known for books like The Brief Wondrous Life of Oscar Wao and Drown . His work primarily focuses on the immigrant experience. Bell Hooks – Hooks is an academic, literary critic, and author of many books including poetry, children's literature, and literary theory and criticism. Hooks is known for popularizing an intersectional approach to criticism, examining the points where race, gender, and capitalism overlap. Toni Morrison – Besides being Professor Emeritus at Princeton, Morrison is one of the most important living authors today. With novels like The Bluest Eye , Song of Solomon, and Beloved , Morrison looks at intersecting issues of race, identity, and justice with such intensity that over the years there have been calls by numerous groups to ban her books. Ethnic Studies can encompass a variety of programs, including (but not limited to) Latin American Studies, Native American Studies, and Asian American Studies. Offerings for such degrees will vary depending on where you attend school. Most commonly, however, large schools will at least offer a Pan-African or African-American Studies program. Ethnic Studies programs, essentially, involve the study of the position, representation, experiences and history of non-white groups, many of whom are ethnic minorities in America. This is not to lump each type into a single category, but to only focus on one for the sake of this entry would be overlooking the fact that racism impacts many different groups. Pursuing an Ethnic Studies degree will give you insight into the experiences, triumphs, and struggles of minority and ethnic groups in America. They are heavy on history, with a very specific historical focus, analyzing how a particular group got to where it is now, in modern day America. It incorporates a study of the culture's growth and development, and its shifting relationship with the majority population and government. It examines cultural artifacts, such as art, music, and literature, and utilizes philosophy and critical theories. These programs can be useful to members of a particular ethnic group for developing a better understanding of how they fit into American culture, historically and presently, as well as what can be done next to continue making social progress. This course of study presumes that without an understanding of where we have been, we cannot hope to get anywhere. Ethnic Studies programs are not limited to members of their own ethnic groups, however. White students can and should participate in Ethnic Studies programs as well. This can help participants forge a less ethnocentric understanding of history, avoid repeating the mistakes of their predecessors, and learn how to work in solidarity with members of oppressed minorities. Henry Louis Gates, Jr. – Gates is a professor and Director of the Hutchins Center for African and African-American Research at Harvard University. A scholar, literary critic, historian, and filmmaker, Gates is known for his significant research on African-American literature and criticism of the literary canon for being inherently Eurocentric. Julius Lester – Lester is a man of many talents. As an academic, he taught at the University of Massachusetts Amherst in African-American Studies, English, Literature, and Judaic Studies for 32 years. Lester has also authored 44 books, 31 of which are children's books that focus on black protagonists and black life in America. He is also a widely published essayist, folk musician, and photographer. There are plenty of variations on the phrase, “Those who fail to learn from history are doomed to repeat it.” There is good reason for that: it is fundamentally true. Ignorance of history begets further ignorance in the present. Racism, hate, fear, and violence repeat, if not intensify, when we ignore the lessons that history holds for us. If we do not want to repeat the mistakes of our forbears, we must study them and grow from the experience. Pursuing a degree in history allows you to do just that. History is not just an isolated study of the past. We study the past in order to better understand the present, to see where we have been, how we got here, and to anticipate where we might be going. History is not the plain study of raw facts, but the interpretation of events, of causes and effects, of attitudes and actions, in order to make sense of shifts in civilization over time. Studying history, you can learn to identify patterns that define racist behaviors, and recognize these patterns in the present. You can see how racist rhetoric and actions have shifted over time, and how they continue to exist and affect us today. This insight will provide you with an understanding of how to better fight these patterns, and how to make racism a thing of the past, a subject of history. With a degree in history you can research and write, you can teach and spread your knowledge, raising awareness and giving your students the historical foundation they need to recognize and fight racism. You can pursue a degree in law or enter politics. You can use your knowledge in many facets of life to be mindful and spread awareness through words and actions. Lerone Bennett Jr. – Bennett is an author and historian, known for his books that examine black life and race relations in America, from slavery onward. Clayborne Carson – Carson is a professor of history at Stanford University, and has written and published extensively on the Civil Rights Movement. Since 1985, he has been the director of the Martin Luther King Jr. Research and Education Institute. Annette Gordon-Reed – Gordon-Reed is a historian and law professor at Harvard University. She is most famous for her book Thomas Jefferson and Sally Hemings: An American Controversy , which sparked controversy and caused a shift in contemporary scholarship on Jefferson by showing that he had a relationship, and fathered children with, his slave. The significance of strong investigative journalism and reporting cannot be overlooked. In a time when there is a prevailing sense of skepticism concerning the news media that can be seen on both sides of the political aisle, when the lines between real news and fake news are becoming more and more blurred, and where partisan politics in reporting is standard fare, the need for serious, objective, and critical journalism has rarely been more pertinent. Whether you intend to become a newspaper journalist, publishing in print and on the web, or a television reporter, or even an investigative documentarian, a degree in journalism can give you the mix of practical skills and critical knowledge necessary for spreading awareness of racial issues. A strong journalist is not satisfied with merely reporting surface issues, but wants deeper answers, and will do the necessary digging to get them. As a journalist, your responsibility is to your audience, and to the society of which you are a member. It is your responsibility to make sure that this audience is totally informed on the issues. When politicians, corporations, or universities are dishonest, a good journalist presses them on it. If you see racial disparity, inequality, discrimination, abuse, or racist behavior, you have the means to expose it and change the situation. Good journalists don't just report facts. They reveal the reasons behind what is going on in society. Where there is wrong, they bring it into the light, so that justice can be served. Journalism is a social service that demands the truth, and can thus fight racism by exposing it for what it truly is. Ta-Nehisi Coates – Coates is a journalist who has been published in numerous papers, magazines, and news sites. His work focuses on the intersection of race, politics, culture, and history. Lilliana Llamas – Llamas is a journalist and filmmaker whose work focuses on issues of institutional racism, gender inequality, and immigration. Lilly Workneh – Workneh is the Black Voices Senior Editor of the Huffington Post, where she is in charge of overseeing the Black Voices editorial section of the news site, and exploring and reporting on issues that affect the black community, keeping them in focus and preventing them from being pushed aside in the news. Without the power of legal change, the status of civil rights in America would not be nearly as far along as it is today. Lawyers have the power to use the law to protect victims of racism, as well as change the law in order to protect civil rights and ensure equality. Sometimes racism is fought in the streets, and sometimes it is fought in courtrooms. With a law degree, there are many ways that you can fight racism, including practicing civil rights law, immigration law, and criminal defense. If someone is denied housing, or a job opportunity because of their race, you can help them by prosecuting the offender. If discriminatory laws are in place that disproportionately affect minority populations, or violate their civil rights, you can challenge these laws all the way up to the Supreme Court. As a legal advocate, you have the power to pursue justice for the victims of hate crimes. Learning to speak a second language can be very helpful if you intend to work with immigrant populations. With a recent marked increase in xenophobic and anti-immigrant attitudes and activities, there is a lot of work to be done with immigrants and refugees in regards to fighting racism. Many immigrants in the US are unable to defend themselves in court or secure legal counsel because of limited English-speaking skills, as well as limited monetary resources. Depending on your situation, you may even be able to offer legal services pro-bono to those who need them. This, especially in the case of immigrants and refugees who face danger in their countries of origin, can be a literal matter of life or death. Moreover, if you want to take your studies further and become a judge, or even enter a career in politics as a way to fight racism, a law degree is an excellent first step on either of these paths. While law degree programs are necessarily graduate programs, there are plenty of undergraduate degrees (some of which are on this list) that can help prepare you to earn a law degree, including philosophy, English, history, political science, ethnic studies, psychology, and sociology. Cornell William Brooks – Brooks is a civil rights attorney and activist, and is currently the president of the NAACP. Damon Keith – Keith is a Senior Judge for the United States Court of Appeals for the Sixth Circuit. Throughout his long career as a judge, Keith has been a champion of civil rights, making key decisions that sparked controversy and even violent resistance from racist groups in the 1960s and 70s. Sonia Sotomayor – Sotomayor is currently a U.S. Supreme Court Justice, and the first person of Hispanic heritage to hold the position. She is the daughter of immigrants, and a strong advocate of civil rights. Knowledge defeats ignorance, and philosophy is the area of study for those who love the pursuit of knowledge. Philosophy requires us to ask complex questions, questions whose answers can provide us with a better understanding of our world and ourselves. The knowledge gained in this pursuit, in turn, allows us to better understand issues like racism. While the most direct application of a philosophy degree is to teach and publish, philosophy helps you grow as an individual by forcing you to think through situations and issues in greater depth. Studying philosophy can help you recognize and understand issues of racism, like the systematic oppression of minorities; what racist rhetoric looks like and when/where it is being used; the harmful effects that underrepresentation in media have on minority youth; and the continued legacy of slavery in modern America. By better understanding the causes and effects of racism, you can fight it. A philosophy degree helps you learn, think, and act. Become a professor, and teach your students how to cut racism off at its roots. Become an author and write books, essays, and articles on how to combat racism, how to develop solidarity, and how to move toward a better society, one free from the cultural cancer that is racism. Take your education further and study law so you can fight racism in the courtroom. Enter politics and enact the change you have theorized. Or use your knowledge to take to the streets, organize protests, build solidarity groups, and facilitate positive discussions. Ultimately, philosophy doesn't have to be your “day job” to be useful. However you express and pursue them, your ideas may be the catalyst for a total paradigm shift toward a better society. Kwame Anthony Appiah – Appiah is a contemporary political and moral philosopher and culture critic who has had a long career in academia, teaching philosophy and African-American studies at Ivy League schools. Currently, he is a professor of philosophy at NYU. Appiah is featured in our article "The 50 Most Influential Philosophers." Angela Davis – Activist, academic, and author, Davis takes an intersectional approach to issues of race, gender, and economic class in her work. Davis is best known for her activism and association with the Civil Rights movement. As leader of the Communist Party USA, Davis was a major name in the 1960s counterculture. Cornel West – West is a contemporary political philosopher who pays specific focus to racial issues in America. At various points in his career, he has been a professor of African-American studies at Princeton and Harvard. He is currently a professor of philosophy at Union Theological Seminary. West is featured in our article "The 50 Most Influential Philosophers." In a basic sense, political science is the study of political and governmental systems, as well as political thought and trends, including how they develop, and how they affect us. It combines aspects of political philosophy, history, and the social sciences to produce its own unique study that takes a critical approach toward examining these systems. Political science employs a balance of quantitative data and theory. Racial issues often intersect with political issues. Slavery, segregation, Jim Crow laws, and the Civil Rights movement provide prominent historical examples of this intersection. Today, countless issues underscore this same intersection, including disproportionate public funding for underserved minorities; water contamination in Flint, Michigan; overrepresentation of minorities in the penal system; racial profiling; police brutality; racially-motivated domestic terror; threats of deportation based on skin color and religion; pervasive institutional racism; gerrymandering; voter ID laws; and the list goes on. Political Science takes a scientific, critical approach to understanding all of the above. Therefore, studying political science can help you understand where racism comes from, why it persists, and what to do about it. With a degree in political science you can become a professor or author, researching, publishing, and presenting on your ideas. Beyond academia, you can become a professional political scientist working for the government at a variety of levels, pushing for reform and new policies that combat racism, or as an advisor to a company or non-profit organization. Or, you could go on to pursue a law degree. While there is no specific prerequisite degree for becoming a politician, studying political science can give you unique insight into politics and government, and may be a good path if you want to enter politics and enact change from a governmental position. John Lewis – Lewis is an iconic name in Civil Rights in America. Lewis was a key participant in the Civil Rights movement; he is one of the original Freedom Riders, was one of the “Big Six” Civil Rights leaders, helped organize the March on Washington with Martin Luther King Jr., and was integral to ending segregation in America. Currently, he is the U.S. Representative for Georgia's 5th Congressional District. Barack Obama – Obama is, of course, best known as the 44th President of the United States, and the first black president, which is in itself a significant step forward in the fight against racism. Prior to the presidency, Obama's political career included positions as State Senator of Illinois, and U.S. Senator. Prior to all of that, Obama studied English literature as an undergrad, was a Civil Rights lawyer and professor of constitutional law, and was a community organizer. Cedric Richmond – Richmond is the U.S. Representative for Louisiana's 2nd Congressional district. As of January 3, however, he is also the Chairman of the Congressional Black Caucus, an organization that represents black members of the U.S. Congress, and keeps racial and civil rights issues in the Congressional dialogue. Racism and public health issues go hand in hand. Populations in underprivileged areas often suffer from lack of access to basic medical services (including both physical and mental health), clean drinking water, healthy food options (the “food island” scenario), and a lack of recreational facilities where they can safely socialize and exercise. These populations are exposed to higher crime rates, higher air and noise pollution, higher rates of both communicable and chronic disease (including STDs), unwanted pregnancy, mental health issues, malnutrition, obesity, addiction, and the list goes on. Poverty is a public health issue, and is often directly connected to racism. Systematic, institutional racism continues the legacies of slavery and Jim Crow. As a result, underlying racial inequalities continue to plague American society, ensuring that areas with high minority populations remain underserved and underprivileged. This is due to a combination of factors, including discriminatory laws, lack of funding for public health initiatives, lack of business investment, and negative, prejudiced attitudes from more privileged populations. The recent case of lead contamination in the water of Flint, Michigan—a majority African American city—is a prime example of this, but the issues are certainly not limited to the U.S.
A degree in public health can help you fight racism by working directly with impacted populations to fix these problems. There are many different areas of specialization in the field of public health, and, accordingly, many different degree program options, and opportunities through which to ultimately make a change. Whether you work at a clinic and offer free or low-cost medical services to individuals; advise the mayor of a city on issues such as air and water pollution or health initiatives; or you become a public health official at the state, federal, or international level, studying public health can help you fight racism by ensuring underprivileged, discriminated-against populations get what they need in order to live long, safe, healthy lives. Georges C. Benjamin – Since 2002, Benjamin has been the Executive Director of the American Public Health Association, providing public health services for all. Vivek Murthy – Vivek Murthy is the current U.S. Surgeon General, and the first person of Indian descent to hold the position. Seyi Oyesola – Oyesola is a Nigerian doctor, best known for creating the “hospital in a box,” a mobile mini-hospital, which is solar powered. Because many underdeveloped nations lack significant medical infrastructure, Oyesola's invention allows for more effective medical aid to be provided for those who may not be able to otherwise access care because of where they live in the world. Similar to Public Health, a degree in social work can help in the fight against racism by allowing you to work in immersive ways with the populations and communities that are most harmed by it. Studying Social Work offers you many different options for specialization. Social workers can fight racism by helping affected populations at the individual and community levels. At the individual level, social workers can work on a case-by-case basis, with varying specializations, helping clients get what they need. Maybe you want to work with underprivileged and at-risk youth, helping them stay in school and get involved with extracurricular programs, apply for scholarships, or get vocational training. You could work for an agency, or at a school, or at a residential treatment facility as a counselor or a therapist, helping children and teenagers get access to resources they need, work through trauma, deal with mental health issues, and more. If you prefer to work with adults, there are many options. For example, there is much work to be done in the area of reintegrating ex-convicts into society, by helping them get career training and employment, maintain their parole terms, remain sober, and avoid recidivism. Racism in housing is still a major issue, and you can fight racism by helping people secure affordable housing. If you prefer to work on a larger scale, a social work degree can allow you to manage and even found assistance programs for underprivileged populations that have been victimized by systemic racism. You could be a community organizer and work with the local government to help fund and promote assistance programs, and implement real change at the social level by helping people access the resources they need to get ahead and succeed in life. Ruth McRoy – McRoy holds the title of Endowed Professorship at the Boston College School of Social work, and is a co-founding Director of Research and Innovations in Social, Economic, and Environmental Equity (RISE) at Boston College. She is widely published and has been an educator of social work for over three decades. Her work focuses on race and family services, such as disproportionality in welfare, and adoption. Maurice C. Daniels – Daniels was the Dean of the University of Georgia School of Social Work from 2005-2016, and is Co-Founder and Director of The Foot Soldier Project for Civil Rights Studies. Daniels has been in academia for decades, and is widely published. His work focuses on civil rights and social justice. Larry E. Davis – Davis is the Dean of the School of Social Work at the University of Pittsburgh, and the Director of the Center on Race and Social Problems. He has been in academia for decades and is widely published, with his work focusing on race and social justice. Any of these degree paths is a powerful way to start a career dedicated to combating racism in its many forms. Are there any that we missed? Share your experiences in the comments section below.